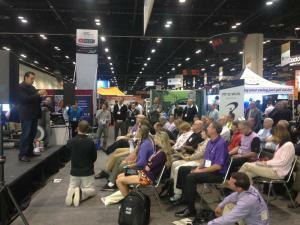 ORLANDO, FLORIDA, UNITED STATES, October 17, 2016 /EINPresswire.com/ -- KC Craichy, one of the world’s foremost experts in the area of performance nutrition, and CEO of Living Fuel, the Leader in Superfood Nutrition, will be a featured speaker at the Titleist Performance Institute’s (TPI) World Golf Fitness Summit in New Orleans, Oct. 18. The longtime nutrition advisor to TPI will be sharing proven techniques for improving golf performance in a session titled, The Secret to Boosting Your Game! The World Golf Fitness Summit runs Oct. 17-19 at the New Orleans Marriott and features some of the industry’s leading minds in athletic performance discussing the latest in research and practical application. The theme of this year’s Summit is The Importance of Multi-Sport Training for Golf and 600 attendees are expected. KC is committed to changing lives through multimedia, super health lifestyle education combined with super healthy, high impact superfoods. He is a Performance Nutrition Specialist and serves on the Nutrition Advisory Board for Titleist Performance Institute. KC also served on the Clinical Nutrition Review Board (the certifying body of the International and American Association of Clinical Nutrition) for seven years. 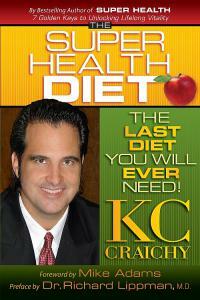 A frequent natural health and performance nutrition guest on various TV and radio programs as well as a frequent contributor to national magazines and blogs, KC has been featured recently on multiple episodes of The Truth About Cancer series and the Preventing and Reversing Diabetes World Summit. KC was also a featured speaker at the Comprehensive Treatment Plans for Chronic Conditions Innovative Conference with the University of Miami Miller School of Medicine. KC lives in Orlando, Florida, with his wife, Monica, and their five children.